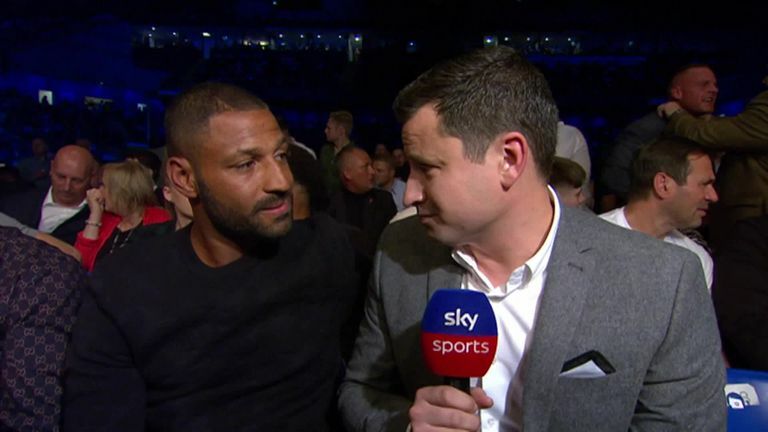 Kell Brook is back in action as he takes on Michael Zerafa in what could be his last fight in Sheffield. The former IBF welterweight champion destroyed Sergey Rabchenko inside two rounds in March and returns to the Sheffield Arena hoping to stay on course for a major fight next year. A revitalised Brook, now under the instruction of Sheffield trainer John Fewkes, has his sights set on big things for 2019 as he looks to firmly banish the demons of two painful defeats, to Gennady Golovkin and then Errol Spence Jr.
A British showdown with Amir Khan remains the priority but Brook may have to cast his eye over the 154lb stars, as well as those at welterweight, in search of a high-profile match-up. Australia's Zerafa, a former Commonwealth champion, is the man in the opposite corner this weekend as Brook potentially waves goodbye to the Sheffield fight ring. The Melbourne man has been soundly beaten on the two occasions he has stepped up in opposition. Brook's career, quite frankly. 'The Special One' once again has to show that he is back to his best, after the injuries that came with those back-to-back losses, proving he is ready to mount a world title challenge. At 32 and in his 40th career bout, Brook must impress and deliver a reminder that he is still one of Britain's most talented fighters. The Sheffield star has changed it up, fighting without Dom Ingle in his corner, but will the switch to Fewkes reap the benefits? Who else should I watch out for? Having cruised to 8-0, 'Pretty Boy' Josh Kelly takes a major step up in class as he meets former welterweight world champion David Avanesyan. The Russian (23-3-1) was edged out by American Lamont Peterson last year and has also beaten Shane Mosley so will provide a perfect indication as to where Kelly's undoubted talent sits in the 147lb ranks. Unbeaten Dubliner Jono Carroll has a golden opportunity to set up a world title shot as he meets experienced Frenchman Guillaume Frenois (46-1) in an IBF super-featherweight final eliminator. Tevin Farmer is the current champion, and Carroll and the slick American have stoked up their rivalry over social media in recent months. Anthony Fowler also features as he builds towards some mouth-watering domestic clashes next year, while Kid Galahad gets ring time ahead of a mandated featherweight world title shot. The Sheffield Arena card will be live on Sky Sports from 7pm on Saturday, but you can also follow the action via our live blog on skysports.com, the Sky Sports mobile app and @SkySportsBoxing on Twitter.